Brainwaves. Abstract computer artwork showing a human brain in side view and spiked EEG (electroencephalogram) brainwaves. The red brainwaves may be depicting a thought pattern or some mental state. 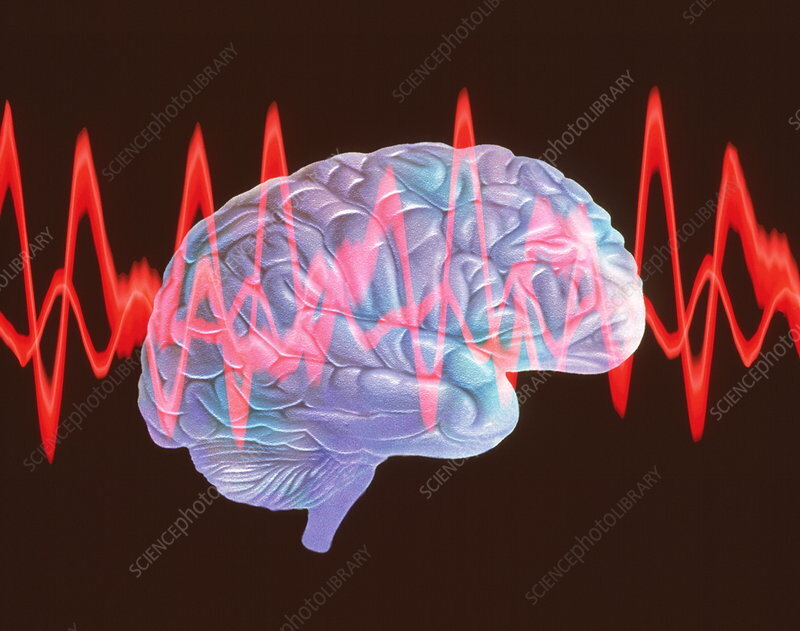 Brainwaves are electrical impulses produced by the activity of the brain when measured on an EEG machine.